Based on information from Tonga Meteorological Services and pilot observations, the Wellington VAAC reported that a cloud from Tofua rose to an altitude of 1.2 km (4,000 ft). 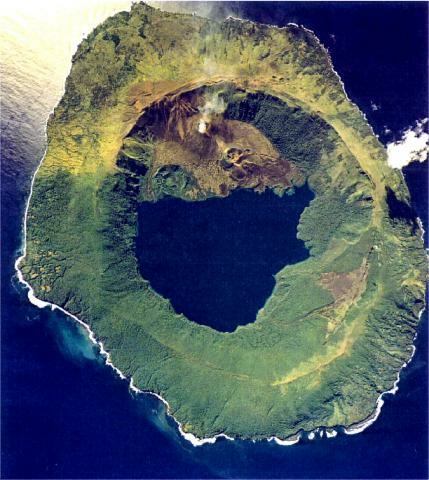 The low, forested Tofua Island in the central part of the Tonga Islands group is the emergent summit of a large stratovolcano that was seen in eruption by Captain Cook in 1774. The first Caucasian to set foot on the 515-m-high island was Capt. William Bligh in 1789, just after the renowned mutiny on the “Bounty. The volcano’s summit contains a 5-km-wide caldera whose walls drop steeply about 500 m.
Three post-caldera cones were constructed at the northern end of a cold fresh-water caldera lake, whose surface lies only 30 m above sea level. The easternmost cone has three craters and produced young basaltic-andesite lava flows, some of which traveled into the caldera lake. The largest and northernmost of the cones, Lofia, has a steep-sided crater that is 70 m wide and 120 m deep and has been the source of historical eruptions, first reported in the 18th century. 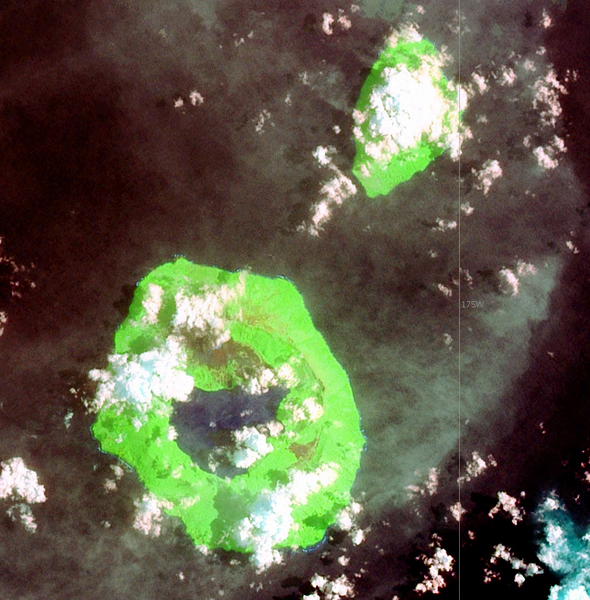 The fumarolically active crater of Lofia has a flat floor formed by a ponded lava flow.